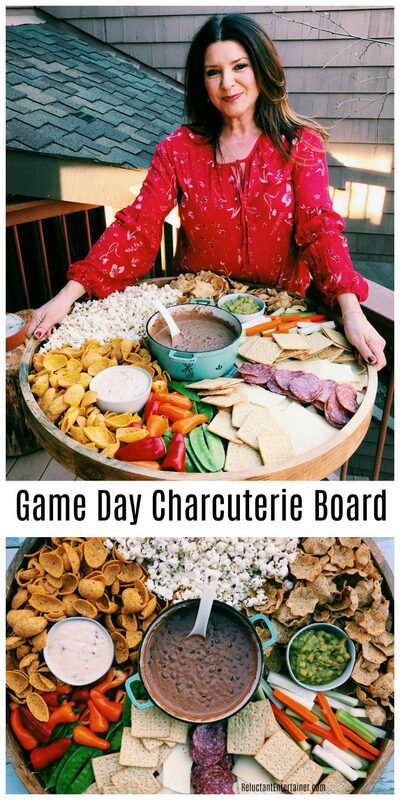 Game Day Charcuterie Board for the Big Game or any holiday entertaining. 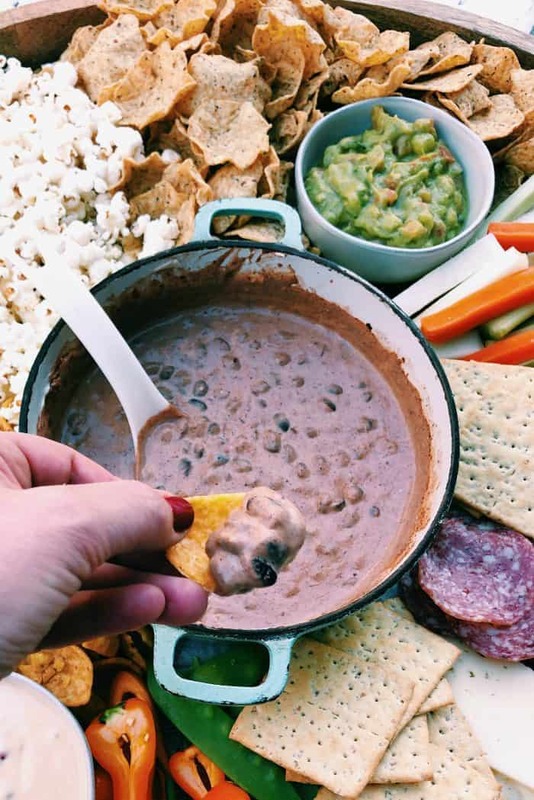 Add a lightened up black bean dip with chips, veggies, meats and cheese. 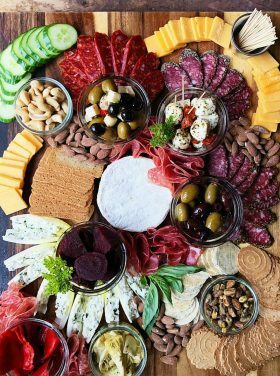 Friends, another epic charcuterie board post coming your way! This time for the Big Game! Will you be watching? (Or, just watching the commercials like me? 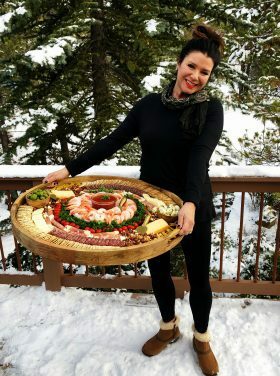 hee hee:) You can check out more of my charcuterie/cheese boards for hosting ideas! 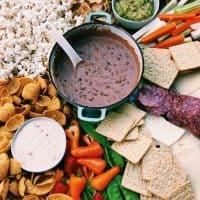 I’m sharing a super easy black bean dip (for the center star) and then a complete shopping list that you can print and run to the store! Scroll to the bottom! 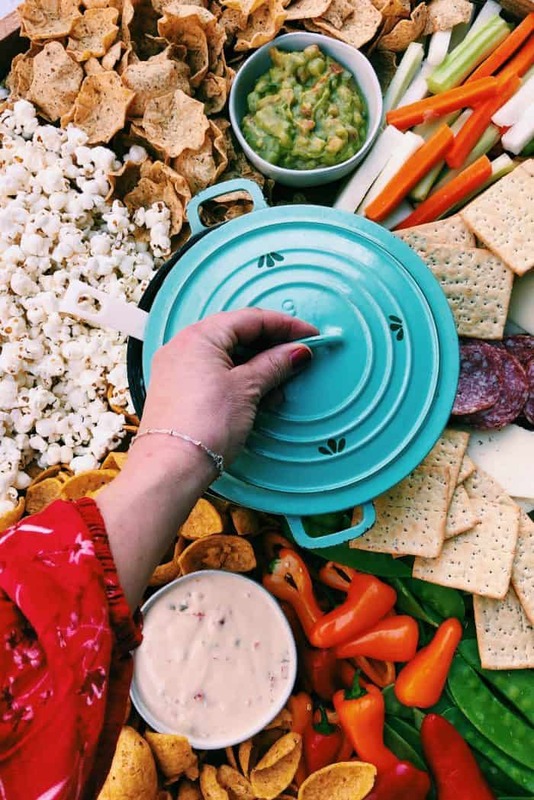 For more dips, try Hot Bacon Crab Dip Recipe, Add a Pinch’s Southern Caviar Dip, Game Day Smokey Jarlsberg Dip Recipe, and Hot Caramelized Onion Meatball Dip. 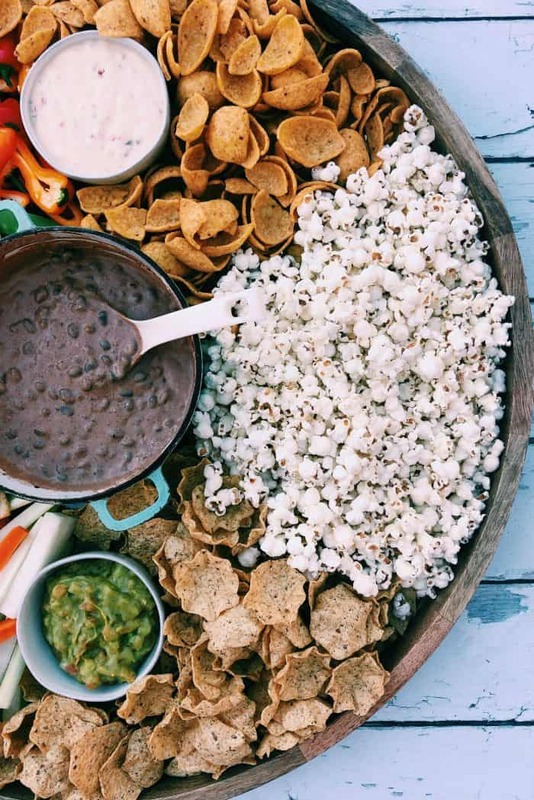 Aslo try from my friends Dill Pickle Dip and Chile Relleno Dip. 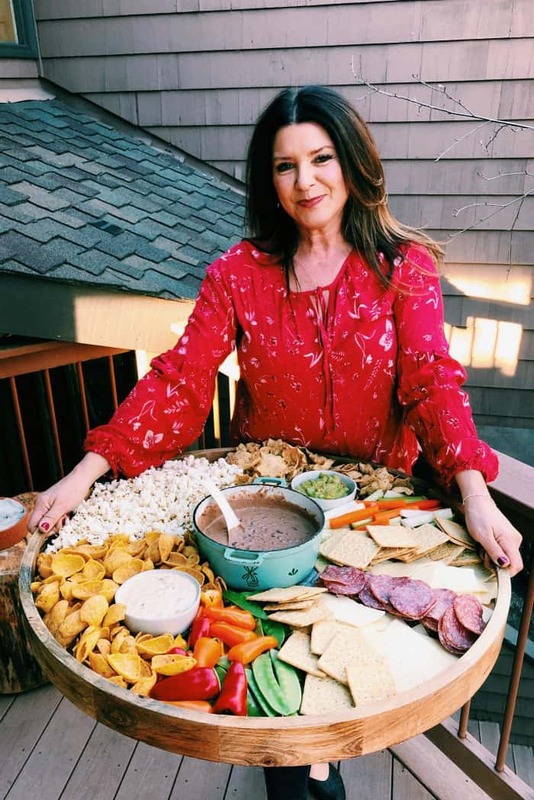 I bought this epic board at Pier 1 a year and a half ago and now it’s a food craze! HA! It’s fun to be someone who helps inspire and launch new hospitality ideas! Hosting is not easy. It takes effort, time, money, and a heart that wants to give to others. 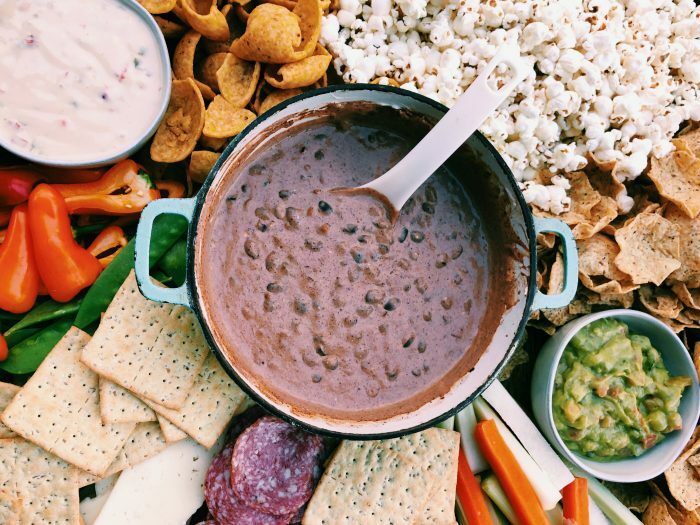 Make a classic Lightened Up Black Bean Dip … by adding 3 easy ingredients. Everyone has been asking me lately how to serve the food hot. My answer is to put down a pad, or something to protect the board, and serve hot! Which means you need to have the board ready to go, and save room for the hot items! Then call everyone over to EAT! 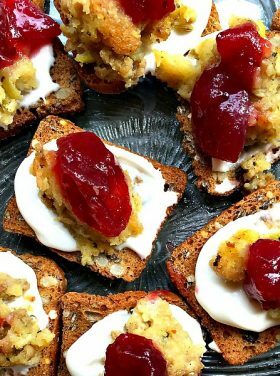 Start with a “center star” recipe. In this case, the hot bean dip. 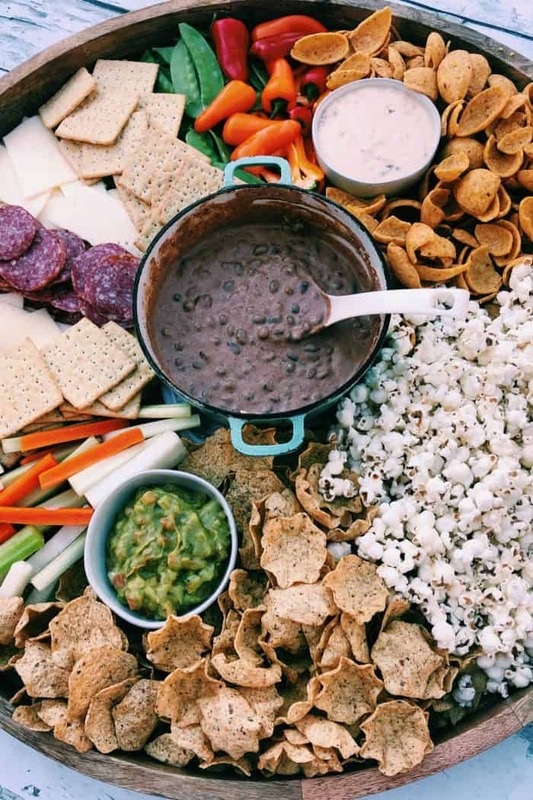 Surround with chips, veggies, meats and cheese. You can also add fruit and nuts. We’ll be enjoying our day with a few friends. I’m also contemplating making these Turkey Pesto Super Sub Sandwiches again! Prepare a large board with parchment paper, or season with beeswax or mineral oil if not food safe. 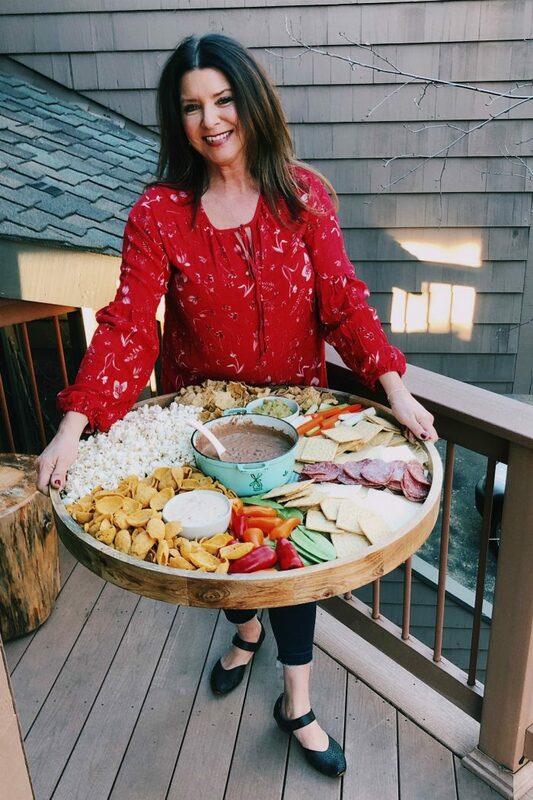 Lay down a dish or plate where the center food item will be (in this case a hot dip). Prepare the dip by heating on medium heat the 2 cans of chili beans, softened cream cheese, and seasoning. Gently stir and heat to a boil; remove from heat. 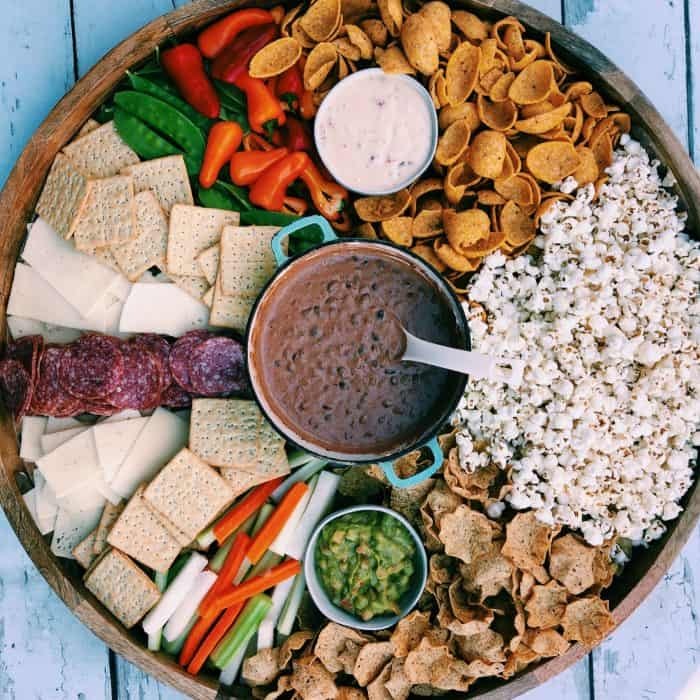 Assemble the board with remaining ingredients, adding the dip last. Since it's hot, put a hot pad down first. 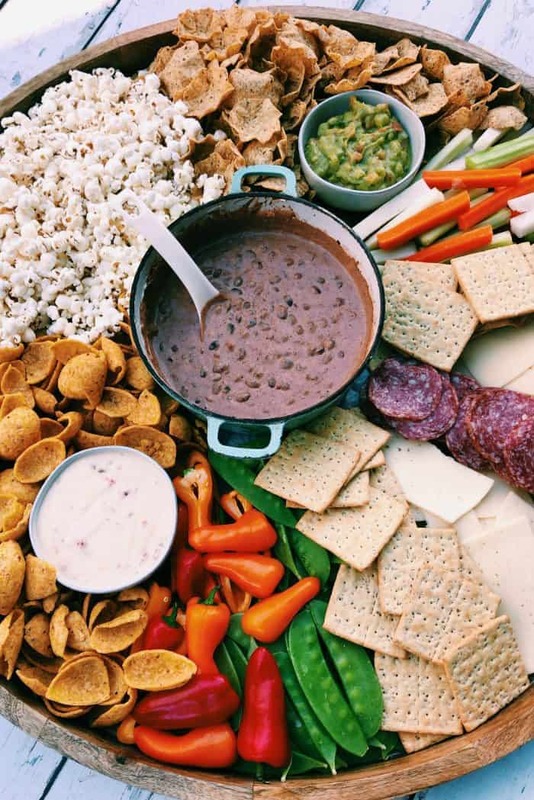 Keep the lid on the dip until ready to serve. Board is from Pier One! I finally found a board, I believe is exactly like yours! I have been searching for months!! So excited to create a few awesome boards!